Leave to infuse at room temperature or chill in fridge overnight for a fuller infusion. 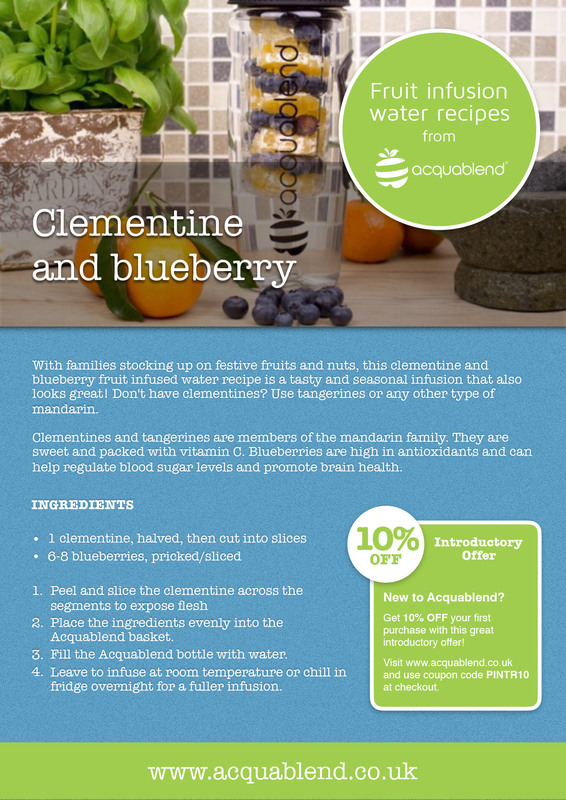 With families stocking up on festive fruits and nuts, this clementine and blueberry fruit infused water recipe is a tasty and seasonal infusion that also looks great! Don’t have clementines? Use tangerines or any other type of mandarin. Clementines and tangerines are members of the mandarin family. They are sweet and packed with vitamin C. Blueberries are high in antioxidants and can help regulate blood sugar levels and promote brain health.